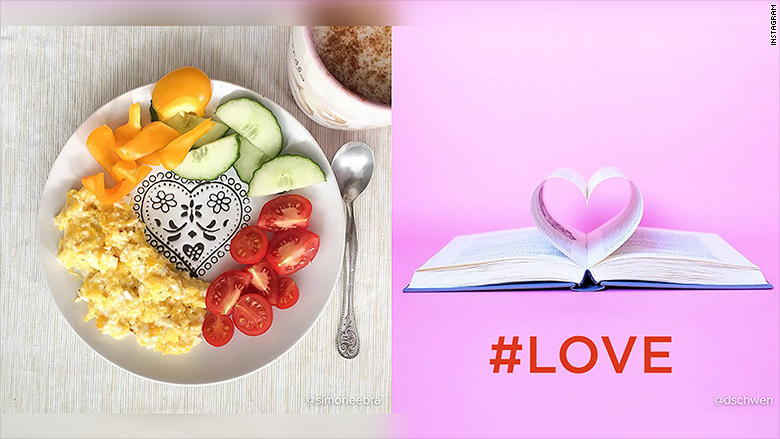 Instagram says #Love was its top hashtag for the third straight year. If you're in need of some uplifting news, here's some: Instagram has announced that #Love was the social network's most-used hashtag of 2015. #Love has now been the top hashtag for three years running. The announcement came Wednesday evening, just hours after the largest mass-shooting in the United States in three years. Though Twitter (TWTR) has not yet announced its year-end statistics, one of the most viral hashtags on that network was #LoveWins, which was tweeted 6.2 million times following the Supreme Court's gay marriage ruling on June 26. The year's top search results were less cheery. Microsoft (MSFT) released Bing's top searches for the year on Thursday, noting that the Paris terror attacks, Europe's refugee crisis and the earthquake in Nepal were the most-searched news topics of 2015. The Germanwings airline crash, California drought and Ashley Madison hack were also among the top searches of 2015. But amid all that bad news, also cracking the top 10 was NASA's mission to Pluto. The New Horizons probe found that Pluto has a large icy patch in the shape of a heart.